Nov. 4, 2016, 9:56 a.m.
Who, exactly, are the better plausible options to consolidate the newspaper industry? The real problem remains the business model, not the ownership. By Ken Doctor @kdoctor Nov. 4, 2016, 9:56 a.m. It seems to be going around this week, but try not to catch it: Gannettenfreude. While it might seem like a great, borrowed-from-the-Teutonic word for a soap opera-like, mangled newspaper M&A mess, Gannettenfreude may be even more pernicious. Gannettenfreude is the taking of delight in the sad fortunes of America’s largest (and the world’s second-largest) newspaper company. 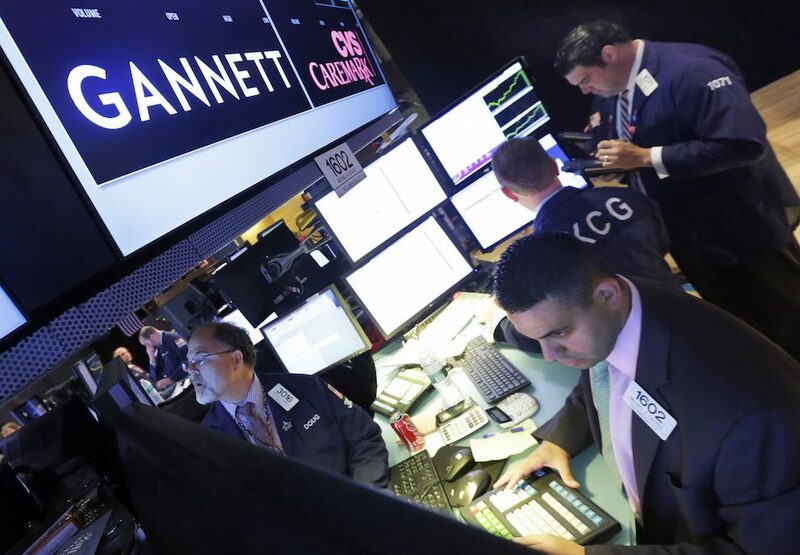 Gannett walked away from its pursuit of Tronc Tuesday with its tail between its legs, a press release almost whispering its failure to close the deal to buy the former Tribune Publishing newspapers. Immediately, I began hearing the small satisfactions enjoyed by many in the trade as the notion of Gannett owning the Los Angeles Times, Chicago Tribune, Baltimore Sun, and other stalwarts faded. Gannettization — that standardizing impulse of decades of Gannett leaders — would be avoided, at least for now. Later that same day, Tronc CEO Justin Dearborn told investors he needs to restart the Tronc engines, having put them on pause pending the deal he and Michael Ferro had held up for so long before seeing it melt away in the cascading downturn of the newspaper industry. Gannettization, re-Tronckification — all in pursuit of monetization, the ongoing effort to find some business model that will help the local daily news business survive. That rush got noticeably madder this week, and we need to place Gannett and its travails in that context. Publishers had been telling me the third quarter would be worse than the first two. But the force of companies’ double-digit print ad declines was still stunning. “Wretched” was the word The New York Times used to headline the industry’s current woes. At the Times, print ad revenues dropped by 18.5 percent. McClatchy reported 16.9 percent down. Tronc itself was down 10.9 percent, Gannett 14.8 percent. It was Gannett’s overall revenue numbers that, we believe, led to the torpedoing of the Tronc buy at the last minute. Gannett reported a 8.6 percent decline in overall revenues for like properties (that is, not including its recent acquisitions). That’s one of the worst performances in its peer group. That latest round of poor results has led to the latest bloodbath in newsroom employment, with Gannett (joined by The Wall Street Journal and Canada’s major chain Postmedia) leading the way. Expect lots more cuts over the next two months as 2017 budgets finalize, though few of them will be announced. In late October, Gannett cut about 380 jobs throughout the company; an unknown number of them in newsrooms. As partial data flows in, though, we know that in a number of cities, the cuts bore into bone. At the company’s Salem Statesman Journal in Oregon, both the top editor and editorial page editor found themselves out of jobs — right as the company sold the paper’s office building. In upstate New York, “the Ithaca [Journal] staff is down to two reporters on location, several sales staff, an advertising employee who doubles as a receptionist and several circulation staff,” a too-familiar tale of common “shared services” among three papers and cut after cut of experienced staff. In St. Cloud, Minnesota, cuts of about half a dozen have further reduced the newsroom staff to about 20, down from about 36 a couple of years ago. Against that backdrop, it may seem hard not to indulge in Gannettenfreude. As the Gannett/Tronc dance provided intrigue and punchlines, we heard some rooting on both sides; I even found myself accused of it as I pointed out each company’s foibles. Rooting, though, seems more apropos for the Cubs and Indians; we probably should caution ourselves: Be careful who, and what, you root for. For instance, ask the Newspaper Guild how it might compare Gannett to the two other large owners of dozens of dailies, Digital First Media and GateHouse. Gannett, known for issuing statements of grand transformation and then executing on them inconsistently, still has newspaper DNA, unlike some of the others entering (or casing) the industry. Listen to Gannett publishers and editors talk about their roles in their communities, as I recently have, and there’s some reality behind the platitudes. Events may overwhelm the better intentions, but the better intentions are evident. But what about those events? While it is clear that Gannett CEO Bob Dickey imperiled his company’s standing as he pursued Tronc, we must ask: What if he’s right about the need for national consolidation? What if he’s right that only growing national consolidation of local newspaper properties will provide a parachute as they plummet? I have major doubts that a public newspaper company, subject to quarterly financial pressures, can produce sufficient local content, products that meet consumer expectations — and increasing profits. But consolidation of all the costs surrounding print production has got to be part of the strategy. Consolidation, as I’ve written repeatedly, won’t work by itself, but it could be an essential piece of the puzzle. Remember that centuries of tradition — in Europe as well as North America — created a newspaper industry far more splintered than most sectors. Even with its current 109 titles, Gannett can claim only 8 percent of the nation’s daily titles. (It has a greater percentage of revenue and circulation, but not that much greater.) Even the three largest newspaper companies — Gannett, GateHouse, and Digital First — own less than a quarter of the country’s dailies. But the handwriting is on the sales agreements. In the past two years, 13 family-owned papers — each of which had been owned for at least 50 years — sold. More are in the sales pipeline. Many who thought they would never “get out” are getting out. 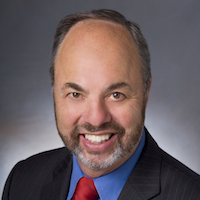 Will — and can — a national consolidator of local news companies emerge? Gannett may continue its acquisition path — but on more prudent path: not overpaying as it would have for Tronc, but more in line with its deals for Journal Media and the Bergen Record. Of course, Gannett, now chastened by its horrific Tronc experience, finds itself with less running room. First, it must rebuild investor confidence. Dickey’s gambit has seen his company lose 60 percent of its market cap in the half-year-plus that Ferro toyed with his ever-increasing offers. Gannett can continue to acquire, no doubt, but how much has its acquisition mojo been limited? Gannett’s not the only possible consolidator. New Media Investment Group, a.k.a. GateHouse, wants to add to its portfolio. Its appetite for one-off buys (at low, low prices) is clear, but we don’t foresee its driving force, Fortress Investment Group, funding a nationwide rollup. Could new players poke their heads out? Remember how close Apollo Global Capital was to buying Digital First just 18 months ago? Apollo’s strategy: Buy DFM, then apply a better-funded and maybe more out-of-the-box digital-first transformation with its properties. Then, if that strategy produced the profits expected, it would begin a wider national rollup. It was a strategy that might have been a second twist on what Advance Publications did in day-cutting three years ago. Then there’s Michael Ferro, and the future Michael Ferros. A bedraggled market offers a great opportunity for would-be empire builders. Yes, the Gannett/Tronc deal looks closed at this point, but that likely closure only spells new opportunities for new deals and new schemes. As I noted as it fell apart, the money guys don’t reach for Kleenex — they open Excel. Yes, Gannettenfreude can be indulged, but let’s put it into perspective: What are the best alternatives to Gannett now? Especially given that we’ve seen fewer than a dozen civic-minded wealthy owners who’ve been willing to (largely) staunch the bleeding, for now, in places like Minneapolis, Boston, Dallas, and Anchorage? In truth, most of the daily companies follow the same playbook, regardless of whether we think their owners wear white hats or black. What’s needed, still, is that next business model, elements of which are working better at the national press than the regional. Of course, the big question for daily journalists — and those who read their work, in digital or print form — is what will be left to rollup, by any company, when the time comes. The walls are closing in on much of the industry. I believe that by 2018, if not next year, we’ll be seeing no more than half the number of journalists in daily newsrooms than we counted in 1990, 56,900. In this final week of national tension about the U.S.’s very near-term future, it’s impossible not to put the plight of the main local institutions paying local journalists into wider perspective. Which brings me back finally to St. Cloud, where it appears more than a third of Gannett’s St. Cloud Times journalists have lost their jobs in the past two years. We often struggle to illustrate what that means to a local community. Last week, that great journalistic institution This American Life helped do that, indirectly. Producer Zoe Chace told the story of unease about immigrants in central Minnesota. In TAL’s 600th show, “Will I Know Anyone at This Party?,” Chace’s microcosmic view revealed much about the Trump-led change in the Republican Party. In 44 minutes, she asked and colorfully answered a core question for all of us: “One way to understand the split inside the Republican party is to look at immigration. It’s this urgent, emotional issue for so much of the party these days. But why?” She delved deeply into the truths and mistruths that extend far beyond this heartland city of 66,000. So we might ask what is the newspaper’s role — or what should be its role — in that community? From afar, it looks like the St. Cloud Times has under-covered the strife that Chace found, but I can’t be conclusive on that point. If the coverage has been inadequate, then the paper’s engagement can be questioned. What can’t be questioned is the capacity the newspaper needs to take on such issues — to attempt to act as an explainer, an honest broker, and a mediator. That capacity has eroded over time. I’ll let Minnesota Public Radio News’ Bob Collins explain that diminished ability, from his own coverage of the St. Cloud Times’ devastating cuts. [Update: I’m told that Mike Knaak has also lost his job. He’s been with the paper for more than 40 years and was second in command in the newsroom. And he’s a former president of the Society for Professional Journalists in Minnesota. These reporters covered the [nationally significant Jacob] Wetterling case and never let it go, they blanketed the knife attack on people at a shopping mall in September, the murder of Cold Spring police officer Tom Decker, the effect of the changing demographics of the region (for which they received Story of the Year from the Society of Professional Journalists), and thousands of other stories that can’t be covered by watching Twitter. They covered the prep results and the candidate forums in the belief — antiquated by today’s standards — that an informed community is a healthier one. A closer one. No, it’s not just The New York Times and The Washington Post that matter in speaking truth to power. Come 2017, we’ll contend with a new landscape at the national level. We’d expect that in a Hillary Clinton administration, the legendary (and largely undifferentiated) Clinton wariness about the press would only deepen. A Trump White House, combined with the press’ own business trials, would pose existential issues. Locally, though, all those empty desks may signal something else again: the increasing irrelevance of the press in the kinds of “local” issues that now divide so many places like St. Cloud. So sure, make what you will of Gannett’s comeuppance. But then recognize that its failure to buy Tronc now leads only to more uncertainty. What will become of those Tribune/Tronc newsrooms, a number of which have already been hollowed out? This deal, now broken, provides no real answer. Photo of the Gannett trading post at the New York Stock Exchange in 2014 by AP/Richard Drew. POSTED Nov. 4, 2016, 9:56 a.m. Doctor, Ken. "Newsonomics: Your Gannettenfreude will only take you so far." Nieman Journalism Lab. Nieman Foundation for Journalism at Harvard, 4 Nov. 2016. Web. 18 Apr. 2019. Doctor, Ken. "Newsonomics: Your Gannettenfreude will only take you so far." Nieman Journalism Lab. Last modified November 4, 2016. Accessed April 18, 2019. https://www.niemanlab.org/2016/11/newsonomics-your-gannettenfreude-will-only-take-you-so-far/.